Excavating area E of toilet, S of garden boundary wall. 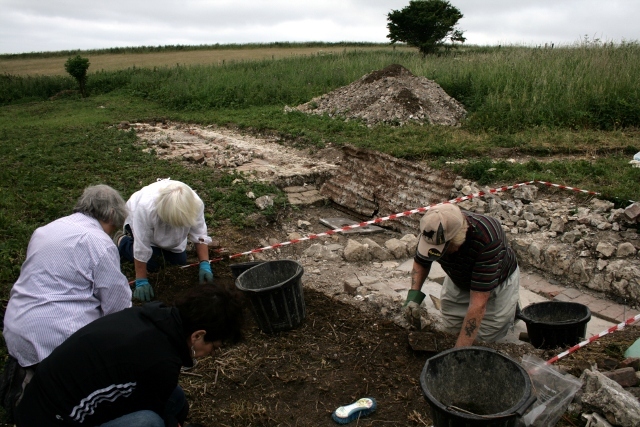 Five volunteers helped dig in search of the front garden gate and the path to Newmarket Farm cottage’s front door. Just like the adjacent grid squares, it was full of a thick layer of demolition rubble. Whilst we still have more digging to do to find these particular features, there was a nice range of finds to keep us all happy! A number of curved cast iron (?) 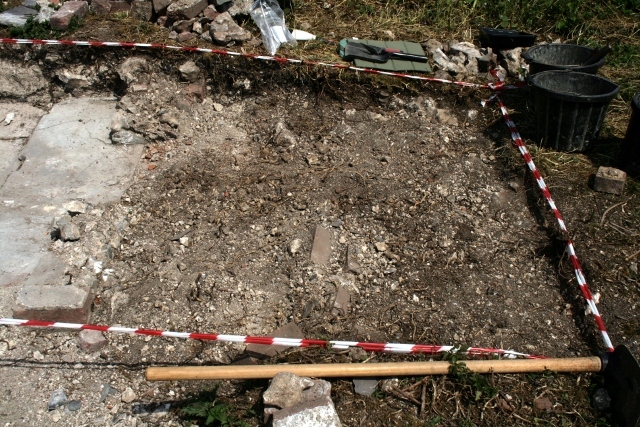 fragments have been found in this part of our dig. One fragment had a double curve to it. 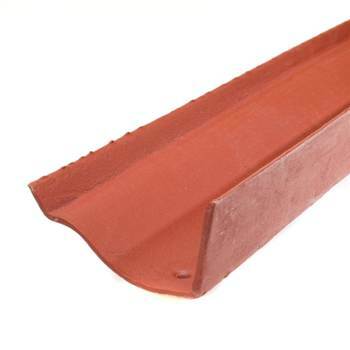 Luckily one of our diggers was a retired plumber, so we are now able to confirm the presence of cast iron guttering – ‘ogee gutter’ to be precise – with the shallow double curve that gives it its name. A large ‘mushroom headed’, apparently unthreaded, bolt or wide nail was found; possibly used to fix the heavy cast iron guttering to a wooden beam under the eaves of a nearby roof – either the house or the toilet. Rainwater was a valuable resource. Unlike well water from the chalk, this water was soft and so much valued for washing. Other finds included two calibres of WW2 cartridges; from .303 rifles and a smaller calibre pistol. Two were marked 1942, one 1945, and a 4th was illegible. A find new to our dig was one or more pieces of a very delicate sheet metal gauze, such as may have been used to prevent flies from getting to food. 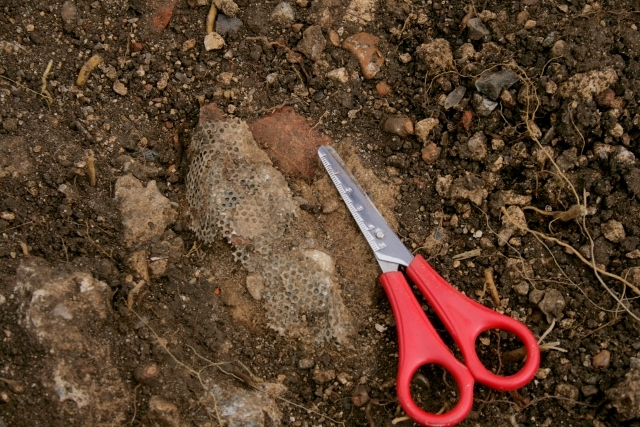 A few shards of decorated and undecorated pottery, and glass – both bottle and very thin window glass, were also found. Demolition rubble, E of toilet, S of garden/boundary wall. The demolition rubble was hard work to trowel through so, as yet, there is no sign of either the garden path or the garden gate it led to. Further digging is required!